Yep 40 fouls more than even Watford.....but its the right way apparently! Apparently, Brighton 'doing it the right way' and Hove Allllllllllllllbbbbbbbbbbbbbiiiiiiiiiiooooooooooon nnnnnnnn have commited the MOST fouls in the Premier league this season! Dirty bastards! Good win. But 22% possession. Just one of those weird freak results that happen from time to time in football. Give a thousand monkeys a thousand typewriters, and one of them will eventually write something that offends Grand Ogle. They failed to score with their single shot on target and 19% possession. 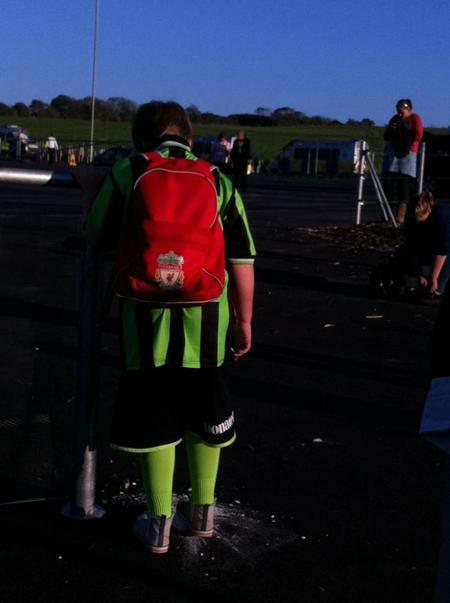 Could someone post the picture of the young Brighton 'fan' wearing a Liverpool rucksack please? Anyone? It must be out there somewhere. In Google images, search for 'Brighton fan Liverpool rucksack'. He's surely an adult now and loving it cheering on "you Reds"
I must've googled similar phrases twenty times yet nothing came up. Got it now, cheers! I believe the poor sap in the picture now resides in Sheffield. Feck me,you lot getting excited by what a kid is wearing,a bloody child. Easy Spinny, turning on one of your own? He's making a fair point. Salivating over the pic of what looks like a 10 year old kid with a Liverpool rucksack on has got the whiff of rabid agenda about it. Kinda creepy actually. A win/win for Brighton fans. Just wish both those scum clubs could lose. Brighton will be over run with local reds tomorrow. Ynwa will be a popular song tomorrow night I’d imagine .